Acupuncture is part of the complex system of Traditional Chinese Medicine that involves the insertion of tiny, sterile needles into the body to interact with the body's Qi (Chi). Qi is a form of energy thought to circulate throughout the body via meridians or channels. One of the goals of acupuncture is to promote a smooth flow of Qi in the body. Imagine a pure, clean river flowing without obstruction, that is how the energy and fluid in the body should flow. Pain is thought to be created by blockages, or stagnation. Stagnation may be emotional or physical in nature and might involve Qi, fluid, or blood. 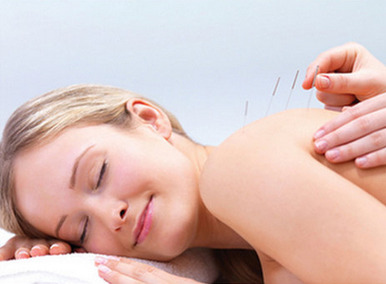 In addition to pain relief, most people experience a sense of well-being following an acupuncture treatment. Acupuncture has been performed for several thousand years, and is continuing to gain popularity as a safe treatment for many health problems. Recent research has proven the benefits of acupuncture for pain relief, arthritis, addiction, high blood pressure and much more. Some research is focused on how acupuncture works, with Western scientists and researchers trying to de-mystify acupuncture. It seems clear that it affects the nervous system in a very profound way. The body has tremendously intricate and powerful self-healing mechanisms built into it - designed to maintain homeostasis (balance) - to defend the body against intruders (viruses, bacteria) and cancer. Sometimes our natural self-healing mechanisms aren't working properly. Acupuncture can help bring the body back into balance so that our own self-healing mechanisms can take over.